CM's new sister company, Schutte Hammermill, is a New York-based manufacturer that has developed an extensive line of size reduction equipment that includes hammer mills, lump breakers, crushers and shredders that provide a consistent and exact finished particle size. This acquisition brings together two of the best-in-class premium shredding & size reduction equipment manufacturers in the world whose combined equipment and expertise has the ability to provide a full line of turn-key solutions for nearly every market in the industry. "Regardless of the products or materials our customers are working with we have the technology, equipment, innovation and expertise to deliver reliable, high performance based solutions to any recycling application," said Christopher Berardi, president of Schutte Hammermill. To back up this unwavering commitment to innovation CM Shredders recently developed and opened up a new test lab and R&D demo facility in North America. 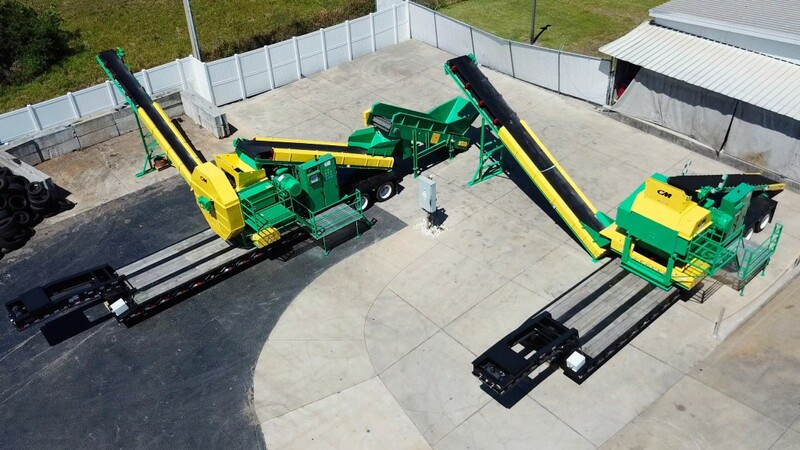 Located at its headquarters in Sarasota, Florida, the new 4000 ft R&D and demo facility will feature both dual shaft and single shaft shredding systems from the company's versatile product range. "The new test lab and R&D facility is an exciting new milestone in our long company history of fueling technology and innovation and the latest step in the process of expanding our business activities beyond our traditional tire shredding and tire recycling equipment," said Charles Astafan, General Manager at CM Shredders. "We will be able to not only develop and provide new products and processes but also help our customers with a proactive approach when facing the challenges of today's production environments, whether through test shredding, applications, developing turn-key systems, training support or R&D work. We will work closely and proactively with key suppliers and other industry experts to find solutions that help our customers to improve and optimize their current operations," said Astafan. Both CM Shredders and Schutte Hammermill are excited to join forces under the Bengal Machine banner and will be in attendance together for the first time at the 2019 ISRI ( Institute of Scrap Recycling Industries ) convention & expositionrunning April 8-11 at the convention center in downtown Los Angeles at booth number #1902.